In the Disney theme parks around the world, you cannot get very far without hearing the music of the Sherman Brothers. In this edition of Music Behind the Ride, I wanted to look at the songs written by the Sherman Brothers and the attractions they go with. 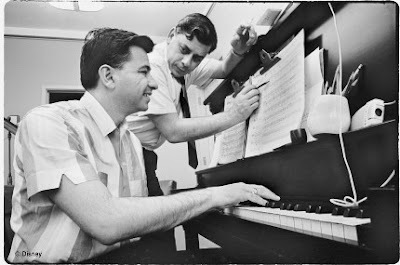 After catching the ear of Walt Disney, Robert B. Sherman and Richard M. Sherman became staff songwriters in 1960. Loving their music, Walt would turn to the brothers for title songs and musical numbers for many films including: The Parent Trap (1961), The Sword in the Stone (1963), Mary Poppins (1964), The Monkey's Uncle (1965), That Darn Cat! (1965), and The Jungle Book (1967). They would work on other projects after Walt Disney's death in 1966, like Chitty Chitty Bang Bang (1968), Adventures of Tom Sawyer (1973), Adventures of Huckleberry Finn (1974) and the Slipper and the Rose (1976). 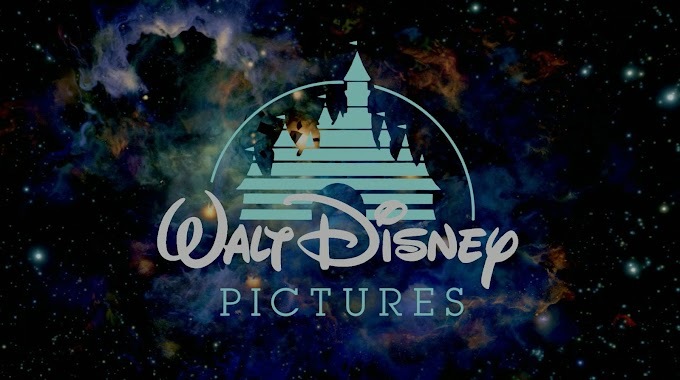 They would resume a relationship with Disney with songs for The Aristocats (1970), Bedknobs and Broomsticks (1971), and the musical voice of Winnie the Pooh through the multiple shorts and theatrical Many Adventures of Winnie the Pooh (1977). They returned to Disney feature films with new songs for The Tigger Movie (2000). Chitty Chitty Bang Bang and Mary Poppins made the leap to the stage, with productions all over the world. Even after Robert's death in 2012, Richard provided new lyrics to The Jungle Book (2016), wrote three new songs and cameoed in Christopher Robin (2018) and served as music supervisor for Mary Poppins Returns (2018). This tropical indoor attraction opened at Disneyland in 1963. The show features four macaw hosts along a whole menagerie of birds, tiki drummers, totem poles and flowers. While there are other songs in the show, it's the title song by the Sherman Brothers that is the clear winner. This was also the first song ever written for audio-animatronics. Full of great lyrical puns, "The Tiki Tiki Tiki Room" is the main highlight and one of the catchiest songs in the Disney parks. The show was copied at Magic Kingdom, opening as Tropical Serenade in 1971. Walt Disney World's Magic Kingdom went through a phase as The Enchanted Tiki Room (Under New Management) from 1998-2011. After a small fire in the show building, the much maligned show (which only featured a snippet of the main song), was replaced in 2011 with a re-instated but shorter version of the Disneyland original. The original attraction was created for the 1964 New York World's Fair - located in the UNICEF pavilion intending to promote peace and unity through the children of the world. After the fair, the ride was moved to Disneyland's Fantasyland and opened in 1966. Several hundred children audio-animatronic dolls were designed by Mary Blair, and costumed in traditional dress by Alice Davis. Instead of individual national anthems, the Sherman Brothers came up with "It's a Small World (After All)". As the boats travel through the scenes, the song loops again as the voices sing in their native language while the musical arrangement matches the country as well. Previously named Children of the World, the song gave the ride its final name. Versions of the ride opened in Walt Disney World in 1971, Tokyo Disneyland in 1983, Disneyland Paris in 1992 and Hong Kong Disneyland in 2008. In case you wonder why the iconic song is stuck in your head, the verse and chorus work in counterpoint together and the ride loops the song through the entire 12 minute ride. Originally part of the 1964 New York World's Fair, the Carousel of Progress made the move to Disneyland in 1967. The auditorium rotates as audiences see four scenes from the 1900s to the 21st century. Each scene begins the transition with the Sherman Brothers upbeat song "There's A Great Big Beautiful Tomorrow". Even as one of Walt's favorite attractions, the Disneyland version closed in 1973 before moving to Florida in 1975. To match some of the ride changes, the Sherman Brothers wrote "The Best Time Of Your Life". Renamed Walt Disney's Carousel of Progress with the refurbishment in 1994, the original Sherman Brothers song was brought back. Instrumental arrangements of "The Best Time Of Your Life" can be heard today in Tomorrowland at both parks. Appearing in Disneyland's Tomorrowland in 1967, guests travel through the Mighty Microscope and see the world on an atomic level. The first to use the Omnimover ride system, you travel past ice crystals, water molecules and even the nucleus of the atom. At the end of the ride, you see displays of sponsor Monsanto. In addition to the music score by Buddy Baker, the Shermans wrote "Miracles from Molecules". The ride closed in 1985 to make way for Star Tours (which features a few tributes to the closed ride). The song can still be heard today as part of the instrumental music loop throughout Tomorrowland. As America celebrated its bicentennial in 1976, Disney went all out with America on Parade. This larger than life parade in both California and Florida celebrated with huge People of America characters through scenes and stories of America over the years. Among the patriotic tunes, the Sherman Brothers wrote "The Glorious Fourth", which was performed during the parade. It ran until 1977, and naturally, the song hasn't been used since. At the grand opening ceremony of EPCOT Center in 1982, a large World Showcase Parade premiered with tons of musicians and dancers in fun costumes. The parade was accompanied by the Sherman Brothers tune, "There's No Place Like World Showcase". The song was performed a handful of times during the festivities and also in the Skyleidoscope lagoon show (1985-1987), but has since disappeared from the park. In 1982, Magic Journeys was one of opening attractions in EPCOT Center. Located in the Journey Into Imagination pavilion, this 16-minute 3D film followed the imagination of a young child. 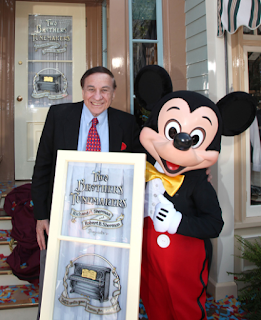 The preshow featured the Sherman Brothers song "Makin' Memories" while the short film used the titular song "Magic Journeys". The slightly (okay, really) strange film was interesting enough to open in Disneyland's Tomorrowland in 1984, and Tokyo Disneyland in 1985. All three would close to make way for another 3D film - Captain EO. The ride did make a comeback in Magic Kingdom from 1987-1993 until Legend of the Lion King took over. Opening with EPCOT Center in 1982 in the CommuniCore East building, there were interactive exhibits and shows about computers. One of the shows featured was the Astuter Computer Revue - with guests standing in front of large glass windows overlooking the park's computer room. 'Transported' from the United Kingdom pavilion was host Earlie the Pearlie. Performed by Broadway actor Ken Jennings (of Sweeney Todd fame), he was 'shrunken down' and able to dance among the computers. He sang "The Computer Song", most related to the Mary Poppins Cockney-style tunes. If you haven't heard of this show or song, the ride closed in 1984. It was followed by Backstage Magic and later retooled into Innovations in 1994. This fan favorite from EPCOT opened in 1983 that used an Omnimover floating among the clouds and meeting the eccentric Dreamfinder. He creates the dragon Figment and you ride through various imaginative ideas about literature, art and music. The theme of the ride is best exemplified in the overly catchy Sherman Brothers song "One Little Spark". Figment became a hit among Disney fans at Epcot, but with the ride's closure in 1998, the replacement Journey Into YOUR Imagination removed the Dreamfinder, the song and left Figment as a mere cameo. The new ride and its Imagination Scanner was strongly disliked by fans and closed in 2001. In 2002, Journey Into Imagination with Figment opened with a return of the song and Figment (sans Dreamfinder). The current incarnation is still running in the park. Built on the track of the beloved PeopleMover in Disneyland's Tomorrowland in 1998. Technical problems surrounded the ride which closed for refurbishment in 2000 and never opened back. Due to the high speeds of the rocket cars, the PeopleMover track was permanently damaged. But the ride did have a theme song: "World of Creativity (Magic Highways of Tomorrow)". Arranged by Steve Bartek (a name familiar with Danny Elfman), the song is adapted from the Sherman Brothers song "Detroit" from The Happiest Millionaire (1967). It's no surprise the numerous songs the Sherman Brothers wrote for the Winnie the Pooh films made it into the ride. While none of the songs are original to the ride, the Sherman Brothers songs dot the entire soundtrack. Originally opening in Florida in 1999, the ride made its way to Disneyland, Hong Kong Disneyland and Shanghai Disney. Tokyo Disneyland's version, Pooh's Hunny Hunt, is unique to that park. Luckily, we hear the tunes of “Winnie the Pooh”, “A Rather Blustery Day”, “The Wonderful Thing About Tiggers”, “Heffalumps and Woozles”, “Hip Hip Pooh-Ray”, “The Rain, Rain, Rain, Came Down, Down, Down". As Disneyland celebrated its 60th Anniversary Diamond Celebration in 2015, the nighttime fireworks spectacular featured the new songs, "Live the Magic" and "A Kiss Goodnight" with music and lyrics by Richard Sherman. Almost everywhere you go in a Disney park, you hear the work of the Sherman Brothers. It's no surprise they became Disney Legends in 1990. 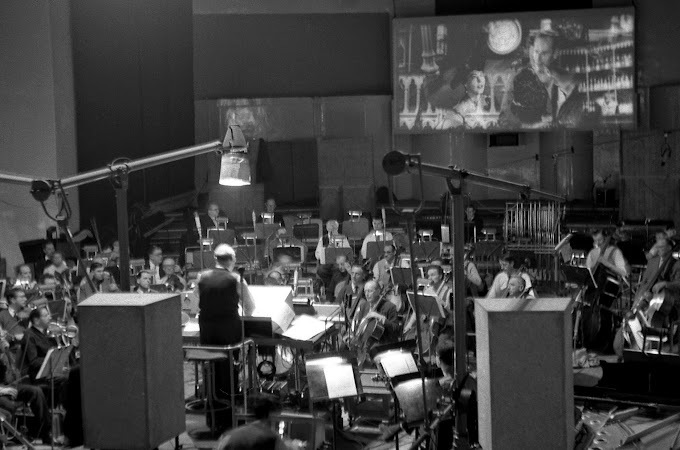 Their work on Mary Poppins won them two Academy Awards in 1965 - for best score and best song (Chim-Chim-Cher-ee).